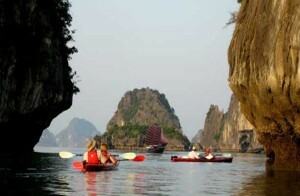 Begin the first full day of the trip with a tour of Hanoi. Depart from the hotel at 08:30 for a visit to Vietnam’s first university: the Temple of Literature. Founded in 1076, Quoc Tu Giam was established within a temple to educate Vietnam’s royalty, mandarins and members of the elite. This afternoon visit the fascinating Ethnology Museum (closed Mondays), which is both a research centre and a public museum exhibiting the ethnic groups of Vietnam. 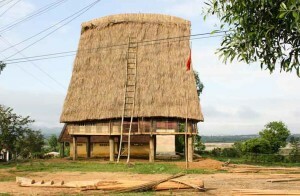 As an alternative to the Ethnology Museum, visit the highly acclaimed Vietnam Women’s Museum. The museum is located near Hoan Kiem Lake and helps explain the significant role Vietnamese women play in Vietnamese society. At the end of the afternoon visit Hanoi’s Old Quarter. Take a walking tour through charming Hang Be Market and around Hoan Kiem Lake, home to literally thousands of small businesses and shops. Finish the day with a Water Puppet show, a uniquely northern Vietnamese art form depicting scenes from rural life and episodes of national history. Depart from the hotel early this morning for a 2-hour drive through rural northern Vietnam to the site of Vietnam’s first capital, Hoa Lu. Visit the temples dedicated to Emperor Dinh Tien Hoang of the Dinh Dynasty (968-80) and Emperor Le Dai Hanh of the Le Dynasty (980-1009). If time permits after visiting Hoa Lu, take a half-hour walk up one of the surrounding limestone karst hills, boasting spectacular views. 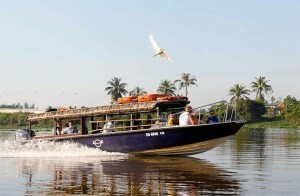 After lunch, board a private sampan (see options for Tam Coc sampan trip below). As the boat gently slices through the water, take note of the enormous limestone karsts jutting out from the green rice fields giving rise to the area’s nickname, ‘Halong on Land’. 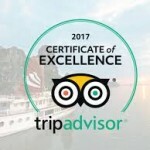 Option 1: Trang An Boat Option (in place of Tam Coc): Trang An is a less visited nature reserve illustrated by limestone hills and a peaceful river passing through a series of caves (one of which takes 15-minutes to pass through in darkness). An ‘eco tourism’ area, the only interruptions here are the sound of birds and the gentle paddle of the oar upon the crystal clear river. Option 2: Thung Nang Boat Option (in replace of Tam Coc): Thung Nang is another less-visited area that is similar in style to Tam Coc. Pass through a cave, fields of lotus (in summer) and reach a quaint pagoda before returning on the same route. 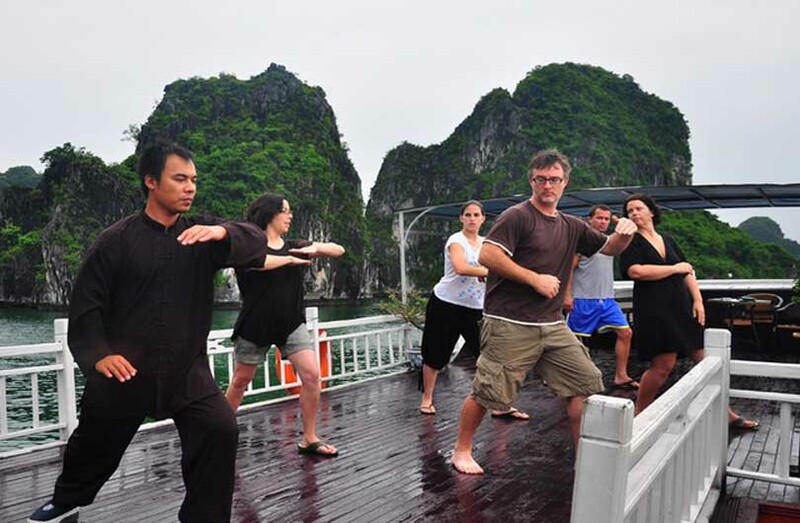 Next, pay a visit to the Thien Mu Pagoda overlooking the Perfume River. Constructed in 1601, the 21-meter tower is the centerpiece of the pagoda and represents seven reincarnations of Buddha. On the pagoda grounds is the famous Austin car a resident monk drove to Saigon in 1963 to protest against the southern regime. The photo of his self-immolation is one of the most well-known images of the war. After breakfast, transfer to Hue Airport for the flight south to Ho Chi Minh City. Upon arrival, check in and take a short rest before embarking on a city tour. 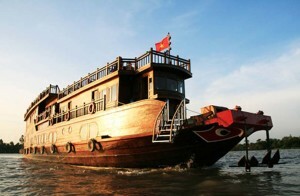 Begin the tour with a visit to Cholon, the Chinatown district of Ho Chi Minh City. Discover the area’s markets, shops and the Cantonese Thien Hau Pagoda. Next pay a visit to Vietnam’s first traditional medicine museum, the FITO Museum, with an amazing collection of 3,000 items relevant to the development of traditional Vietnamese medicine. Implements used to prepare indigenous herbs and objects commonly found in traditional pharmacies can be seen in the galleries as well as ancient books and documents on traditional Vietnamese medicine. 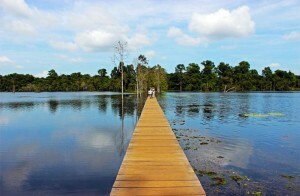 Begin this day with a departure from bustling Ho Chi Minh City for the 2 hour drive to the delta town of Cai Be.